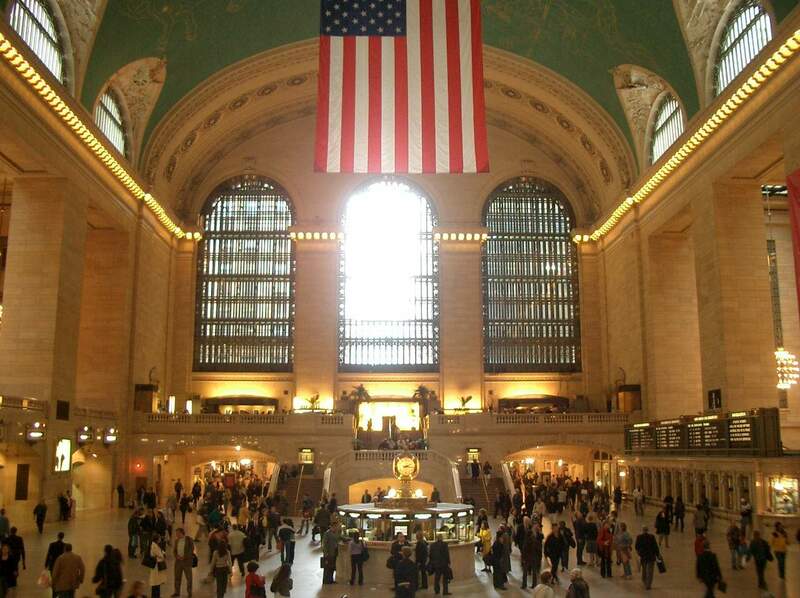 Elysha’s favorite room in the world is Grand Central Station, so I chose that as the location for the proposal. I also wanted the proposal to be a complete surprise, so I chose December 28th, right in between Christmas and New Years and about two weeks before her birthday. I figured that if Elysha was suspecting a proposal, she might expect it to happen on New Year’s Eve or her birthday, so placing it around but not on these days would be completely unexpected. Elysha had also told me months prior that no one had ever thrown her a surprise party, and she hinted that she would like me to throw one for her someday. I had told her at the time that I would plan a surprise party for her next birthday and would still manage to surprise her despite the forewarning. My plan was simple. After she agreed to marry me, I’d tell Elysha that the marriage proposal counted as her surprise party. Two weeks after the proposal, I'd surprise her again with a birthday party that I was already planning at the home of friends. So in the midst of planning a marriage proposal, I was also planning her surprise birthday party as well. It was a busy time for me. Next I needed a reason to be in New York on the day of the proposal, so I enlisted the support of Elysha’s sister, Emily, who helped me tremendously. Two weeks before the proposal, Emily called and asked us to come into the city that day. She also arranged for a luncheon at Ruby Foos following the engagement. My plan was to propose to Elysha on the top steps of the Terminal, overlooking the clock and the throng of holiday shoppers and tourists that were sure to be jamming the place that day. Embedded within that mass of travelers and holiday shoppers would be our friends and family, remaining hidden amongst the crowd in order to watch the proposal and then surprise Elysha immediately thereafter. This required a lot of coordination. Emily and a friend (Cindy) were instrumental in this task. First I had to get word to everyone who I wanted to invite, making sure that they maintained absolute secrecy from anyone not invited until after the proposal. We had to arrange for these people (22 in all) to be on a train from New Haven prior to the train that Elysha and I would be traveling on, and we also had to ensure that they would be out of the New Haven terminal before Elysha and I arrived. We also had people living in New York who were coming in for the proposal, as well as one family on their way back from Washington, D.C. who would be stopping at Grand Central to join us. Coordinating the timing and placement of these people in the terminal was quite a challenge. All was in place when Elysha and I left the house on the morning of December 28, 2004. Plans were finalized, reservations for lunch were set, and the diamond was stuffed deep into my coat pocket. Of course, nothing ever goes perfectly. About 15 minutes from the station, Cindy called (I pretended that she was my mother), informing me that my friend, Jeff, was running late and might still be in the New Haven terminal when Elysha and I arrived. I purposely took a wrong turn off the exit to add time to our trip and was berated by Elysha for doing so. Upon arriving in the New Haven terminal, I discovered that MetroNorth had added another train to their schedule, an express that would put us into New York just minutes behind the train that our friends were already riding. Elysha saw the earlier train on the schedule and suggested that we take it. This was not good. I knew that Cindy and Emily would need time to position everyone in the terminal, and a few minutes might not be enough. Thinking fast, I explained to Elysha that Emily was expecting us on the later train, and since we had time to kill, we could get some breakfast and relax for once in our lives, since we are usually sprinting to make every train we had ever taken. She agreed, and the potential disaster was averted. Trouble raised its ugly head again about halfway to New York, when a train in front of us broke down, forcing our train back to Bridgeport in order to switch tracks. In all our trip was extended by 45 minutes, which was fine for me but began driving Elysha batty. The last thing I wanted prior to my proposal was a frustrated future fiancée staring me in the face. Thankfully a New York magazine crossword kept her busy enough to remain sane or else things might have been ugly. As she attempted to decipher the clues to the crossword, I went to the bathroom in order to call Cindy and warn her of the delay. The last bit of trouble occurred upon arriving at the station. Because we had been switched to an alternate track, our train arrived somewhere in the bowels of Grand Central, on a track that Elysha and I had never seen before. Our friends and family had been positioned with the expectation that we would be arriving at a specific track number, and now I had no idea where we might emerge into the station. And because we were deeo underground when we arrived, I had no cell phone service with which to warn Cindy. All she knew was that Elysha was wearing an orange coat. Thankfully that turned out to be enough. As we emerged into the station, I grabbed Elysha’s hand and pulled her toward the stairs, aware that our friends could be anywhere at this point. I told her that I wanted to show her something and she rolled her eyes and followed. Someone in our group of friends spotted the orange coat climbing the stairs and everyone was watching as we reached the precipice. At the top of the stairs, amongst a throng of people, I stopped Elysha and turned her toward me. Me: I chose this place because I know it’s your favorite room in the world. Me: (On one knee) Elysha Green, I love you with all my heart and want to spend the rest of my life with you. (Opening the ring box) Will you marry me? After assuring the National Guard soldiers that they weren’t in trouble or preparing to commit an act of terrorism, our friends began racing up the stairs, with the principal of our school 9and the man who would end up marrying us) in the lead, shouting and pumping his fists. Elysha: Oh my God. Where did you all come from? The rest of the day was perfect. After the proposal, we all enjoyed lunch at Ruby Foos and then made our way down to Rockefeller Center to check out the tree and have our photo taken beneath it. Snow was lightly falling, the streets were abuzz with holiday shoppers, and things could not have been more beautiful. Elysha, however, has yet to answer my question. Rise up, my brothers and sisters!